Supported internships are a structured study programme based primarily at an employer. They enable young people aged 16-24 with an Education, Health and Care plan to achieve sustainable paid employment by equipping them with the skills they need for work, through learning in the workplace. Wherever possible, they support the young person to move into paid employment at the end of the programme. 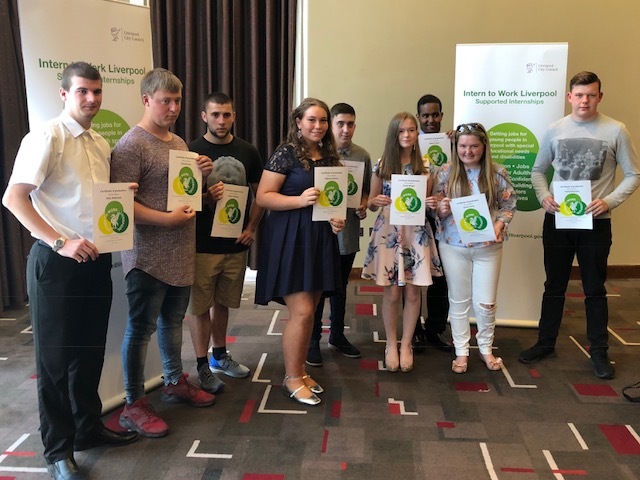 Alongside their time at the employer, young people complete a personalised study programme which includes the chance to study for relevant substantial qualifications, if appropriate, and English and maths. We started working with Opus Employer Engagement Services to find a number of suitable and willing employers to work with us on our supported internship partnerships. 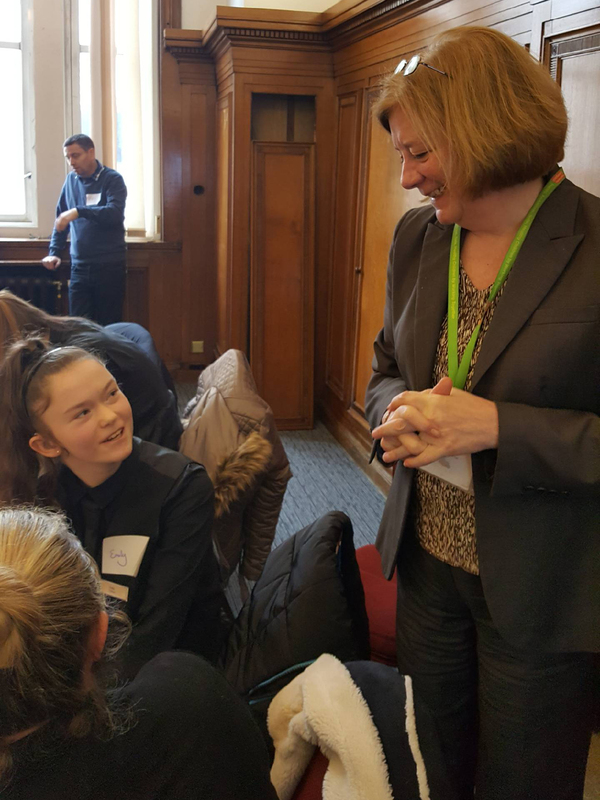 We also engaged the help of MORETHAN7 a social enterprise who co-founded the multi-award winning supported internship EmployAbility schemes at National Grid. MORETHAN7 are a key partner in setting up our successful supported internship partnerships given their track record and experience elsewhere. They have given support to the local authority, education providers and prospective employers as they work their way through the processes before, during and after go live. The well-proven supported internship delivery and operating model from EmployAbility which we have chosen to follow has been rigorously designed and tested. It results in ~60% of supported interns achieving paid employment outcomes compared to the national average paid employment rate of ~6% of young people with learning disabilities. In wave 1 we had supported internship partnerships operating at three leading employers in the City, all of which started up in September 2017. 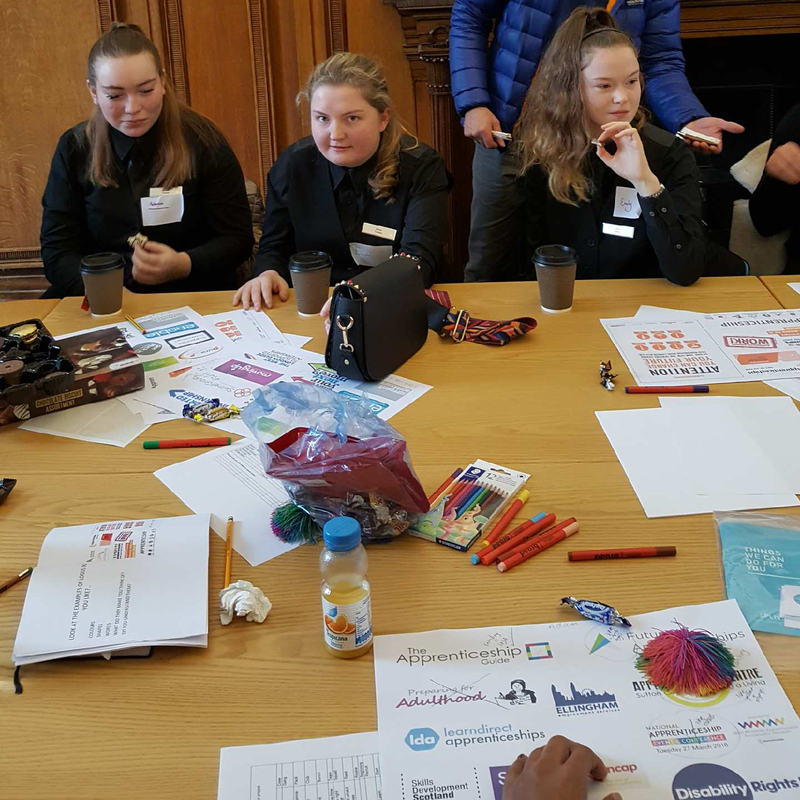 Each had three supported interns (nine in total) supported by a full-time equivalent job coach from each of the leading education partners: Sandfield Park School, Bank View High School and Myerscough College. Paid employment outcomes were successful with six of ther nine graduating supported interns currently accessing paid employment, giving an employment rate of 67%. In wave 2 we have supported internship partnerships operating at twelve leading employers in the City. Each has three supported interns (thirty-six in total) supported by a full-time equivalent job coach from each of the leading education partners: Abbot’s Lea, Greenbank College, Sandfield Park School, Bank View High School and Myerscough College. To increase our offer in wave 3 we are working with local NHS foundation trusts to set up large model supported internship models. We have been researching the different models of delivery and have started working with Mersey Care Foundation Trust and our local FE colleges to work towards a September 2019 start. TwinVision were commissioned to produce a film about each Wave 1 partnership. The first film is from Sandfield Park Special School and Marriott Hotel, the second Bankview High School and Hilton Hotel and the third Myerscough College and Glendale. Sandfield Park Special School and Marriott Hotel from Twin Vision on Vimeo. Bankview High School and Hilton Hotel from Twin Vision on Vimeo. Myerscough College and Glendale from Twin Vision on Vimeo. Splinter, a Liverpool based creative agency, were commissioned to co-produce a logo and brand with our Wave 1 supported interns. 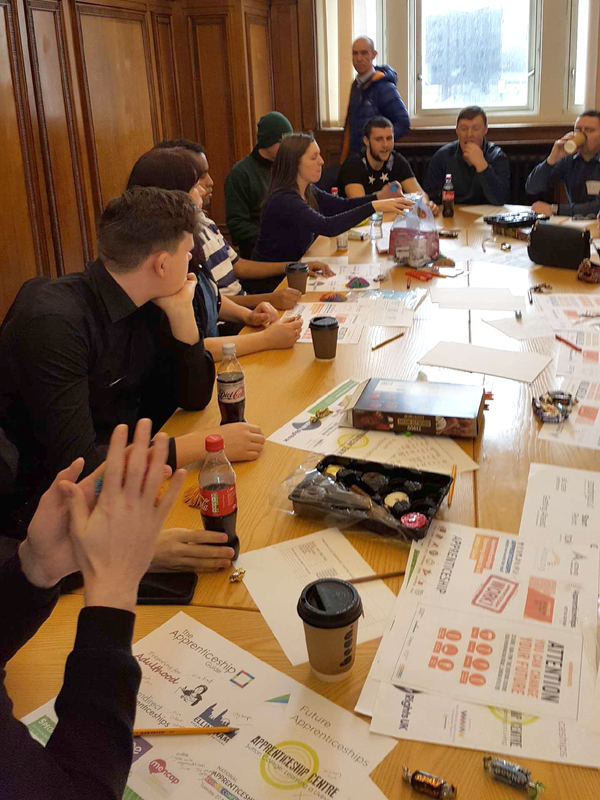 A co-production session was held in the Cunard Building on Feb 21st 2018, Splinter took the ideas back to their office to develop a choice of logos and brands which the interns were then asked to vote on to pick a winning design. The wining logo and brand can be viewed below. This logo and brand will now be used across all of the supported internship partnerships in Liverpool. Photos from the co-production event can be seen on this page, click on a photo to view the gallery. 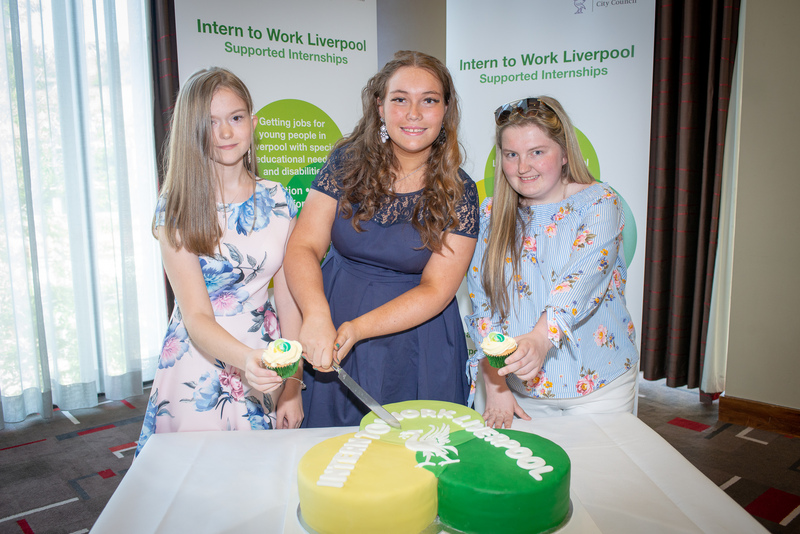 A graduation event for wave 1 interns was held on June 25th 2018 at the Hilton Hotel to celebrate their successes. An event planning committee was formed with the job coach and interns from Bankview High School. Invites were sent out to education providers, employers and families. Some of the photos from the event can be seen below. TwinVision filmed the graduation and have created a new film that edits each individual film together and includes footage from the graduation and can be seen at the link below.